SANTA FE, NM—Stoking readers’ anticipation about the long-awaited Game Of Thrones sequel, best-selling author George R.R. 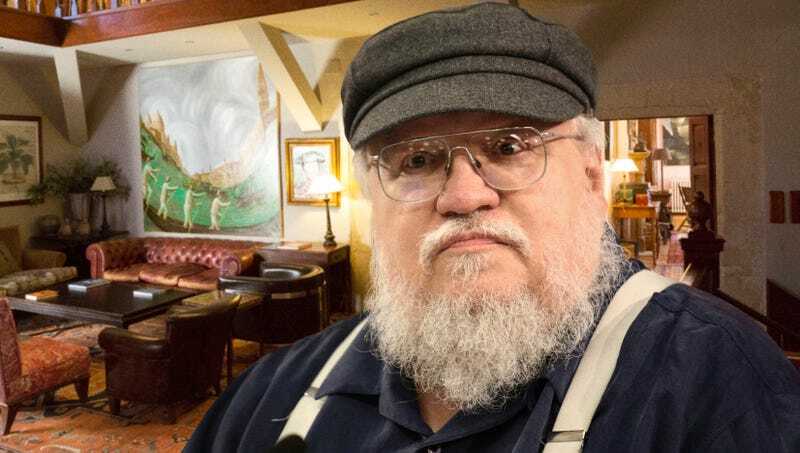 Martin promised fans Thursday that his upcoming novel The Winds Of Winter was nearly started. “I wanted to let everyone know that I’m sitting at my desk with a nice cup of tea, I’ve got a Word document open, and I’m just about ready to go,” Martin wrote in a blog post on his website, assuring readers that as soon as he cleared off his desk and threw a load of laundry into the dryer, he could pretty much begin. “I don’t want to get anyone’s hopes up, but at this point, I’ve basically already brainstormed a couple of character names and written part of an outline for chapter one. After that, it shouldn’t take more than another three or four weeks until I’m ready to check a few emails, grab some groceries, and put the very earliest touches on the manuscript. Can’t wait!” At press time, the author had been forced to return to square one after realizing he needed a better title than The Winds Of Winter.